We're very proud of our Charity "GIVE" Basket program here at Bloomex. The idea's pretty simple. 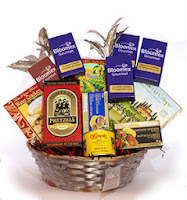 We have six gift baskets (which are always a popular choice on Bloomex.ca during the holiday season) that we've designated as special "GIVE" baskets in 2013. 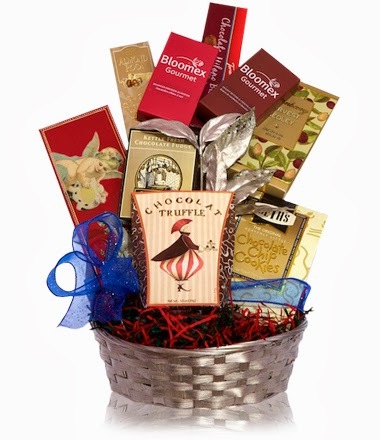 20% of the purchase price goes to a charity of the customer's choice. You simply enter the name of your charity or not-for-profit organization at checkout, and Bloomex will give 20% of the basket's price to them. 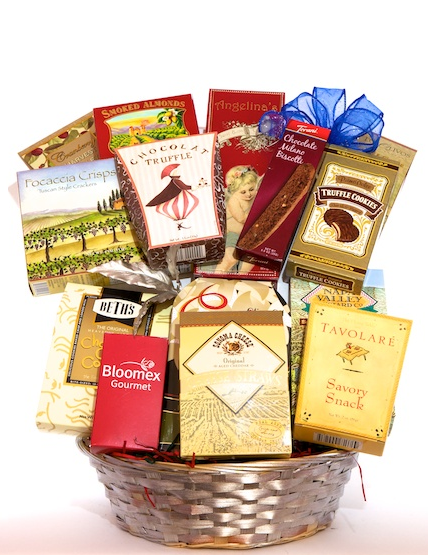 So not only do you get a great treat for a loved one, you're able to give a little back to a cause that you really care about, as well. Let's take a quick look at the six baskets available for this program. The start under $40 and there is quite a selection of products available. Click the links of the basket names to be taken to the product pages. A wonderful basket for the value-conscious buyer, featuring an assortment of 7 delicious items. 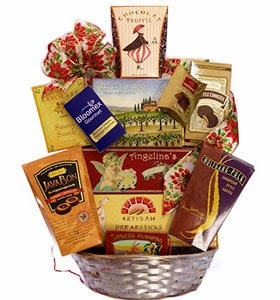 9 delectable items including nuts, cookies, candy and fudge, sure to satisfy the snack lover in your life. A sophisticated take on the snack-filled basket, consisting of 11 different items including Artisan Breadsticks and gourmet cheese. 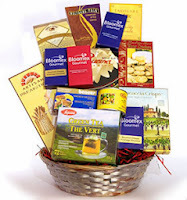 Multiple types of cheese and delicacies like mussels and almonds. This great assortment includes 14 items in all, including delicious treats like smoked seafood, Escargot, gourmet coffee and a whole lot more. The ultimate treat! 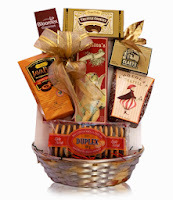 Includes 14 exquisite items, featuring multiple types of cookies, crackers and other great-tasting snacks.